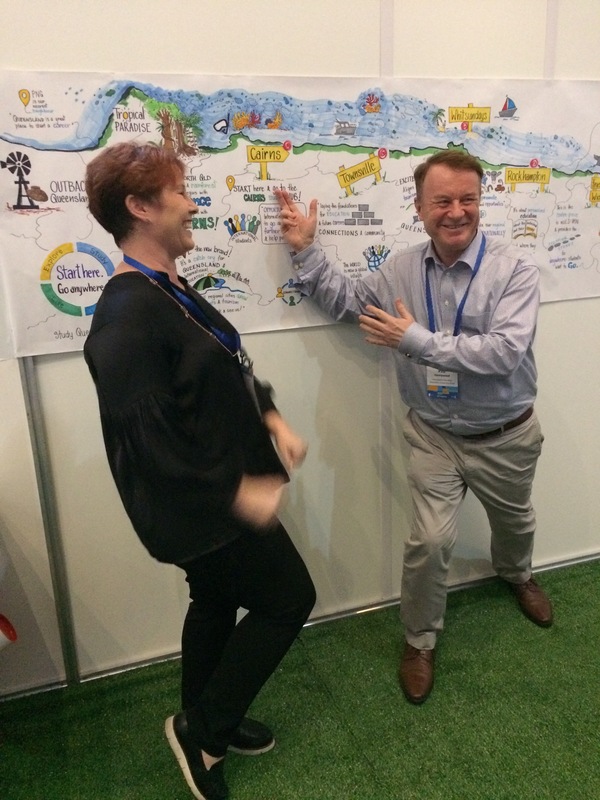 It was great drawing out the discussions of the Study Queensland Pop-Up at the International Education and Training Summit held in Cairns. To celebrate the outcomes of the Study Queensland Positioning Framework for the Department of Trade and Investment Queensland Minister Kate Jones announced the new brand and tag line for this project #startheregoanywhere. 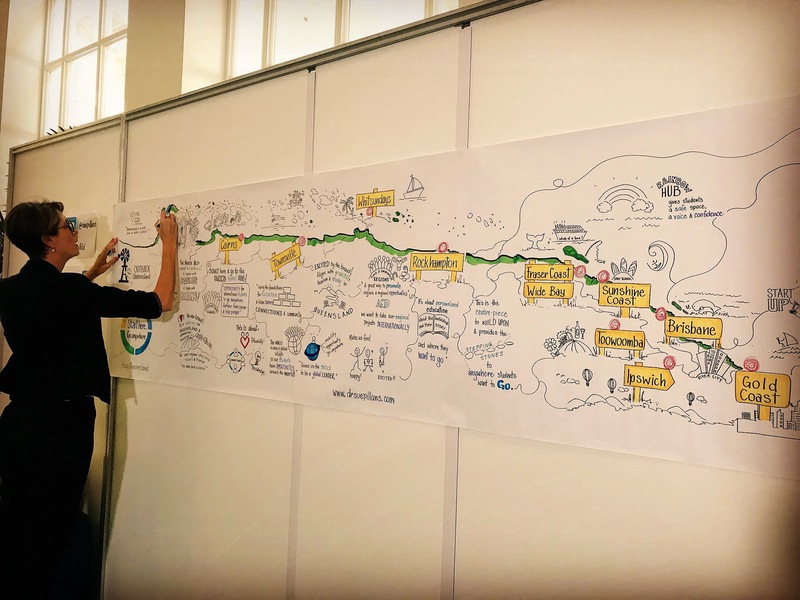 I was then very busy listening to how excited the Summit attendees were about the new brand and pictured what it meant to them, in the BIGGEST drawing I have done! 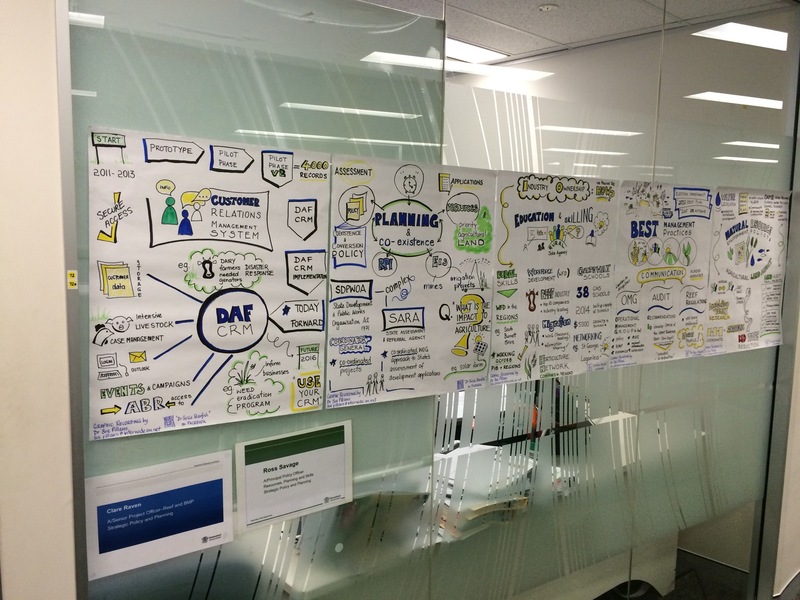 As you can see from the photos it was a BIG day of drawing out people’s BIG ideas. 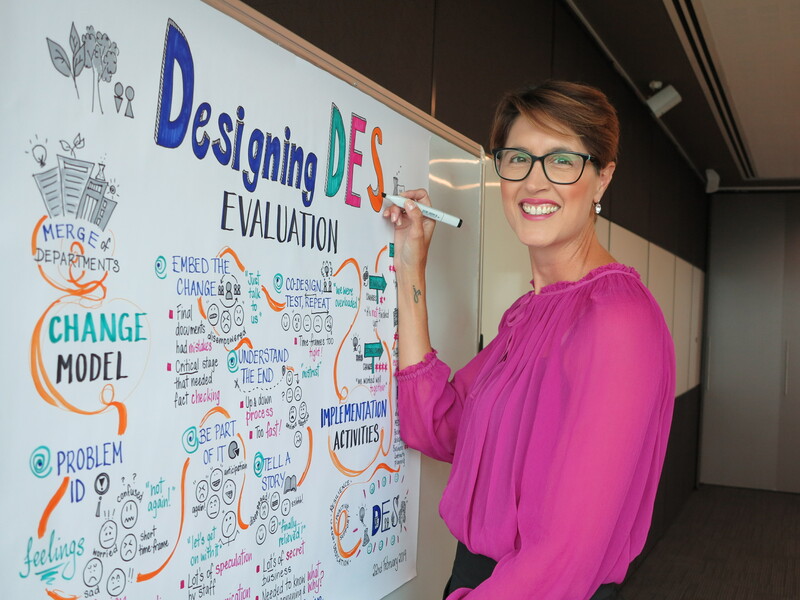 My role as a Graphic Recorder is not only about drawing out the key messages and information that is being discussed in a room or event, but listening to the feelings in the room and the journey people have been on, particularly through sensitive processes such as change programs and team transitions. 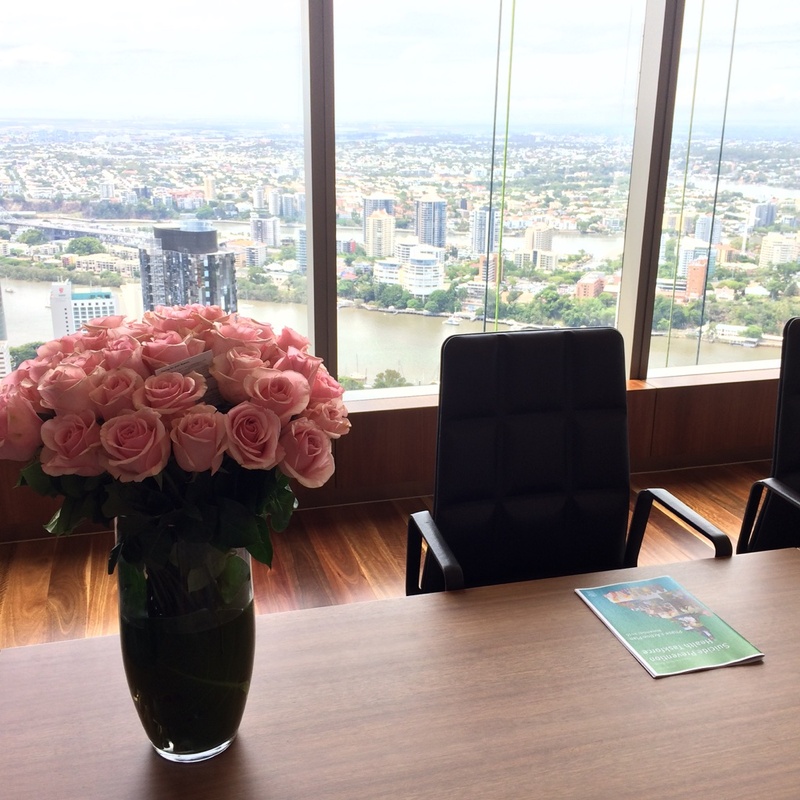 I was privileged to be part of the discussions of the Corporate Services team at the recently formed Queensland Department of Environment and Science (DES) who have just gone through a significant process of change (Machinery of Government changes). 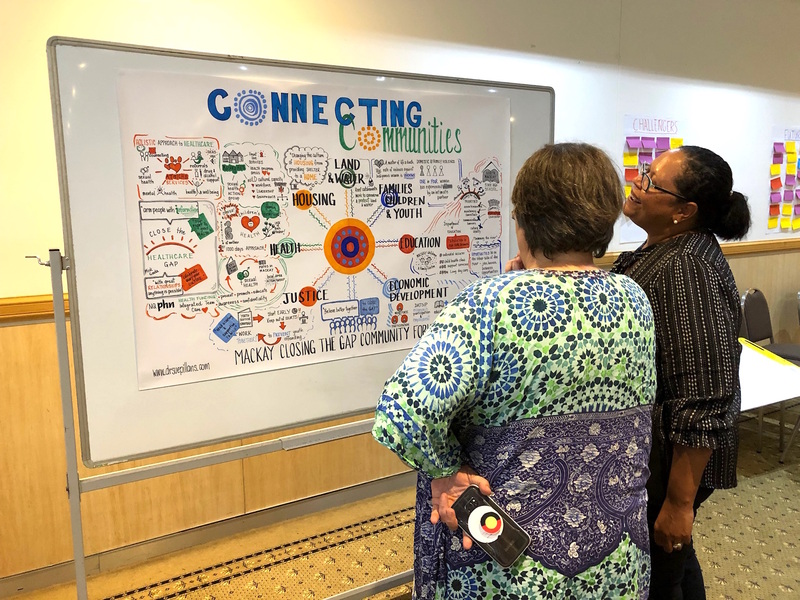 I was there to draw out the lessons learned and the feelings of change staff through the steps in the change model AND to picture the new Departments future — so everyone in the Department could see their “big picture”! 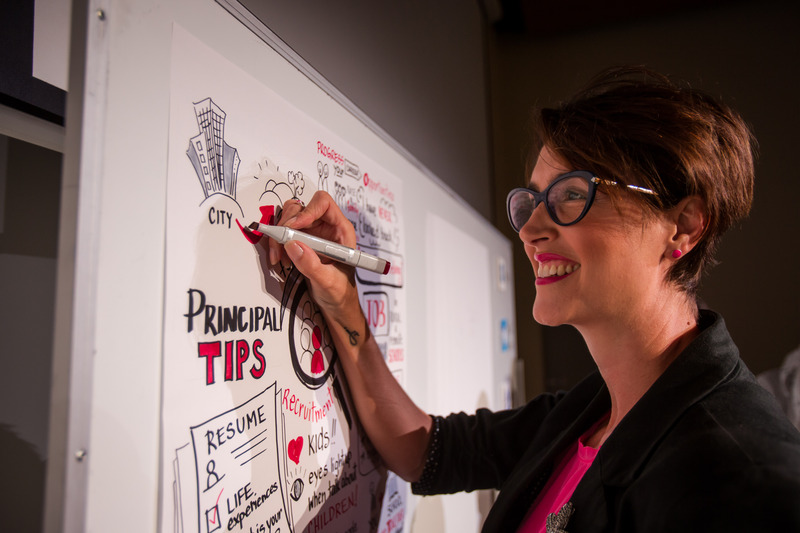 Visual storytelling is a powerful way to listen and draw out staff feelings and an organisations journey to help put your people in the big picture! 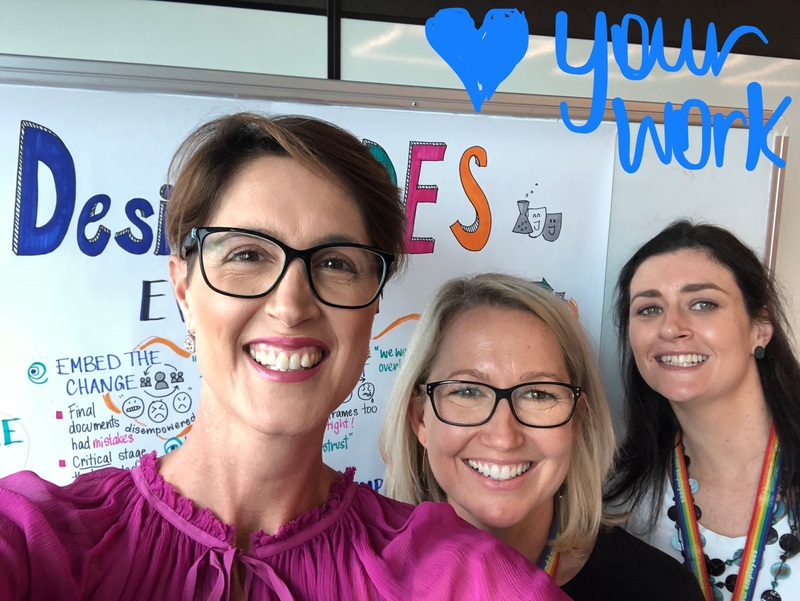 Thanks for having me DES, #loveyourwork! 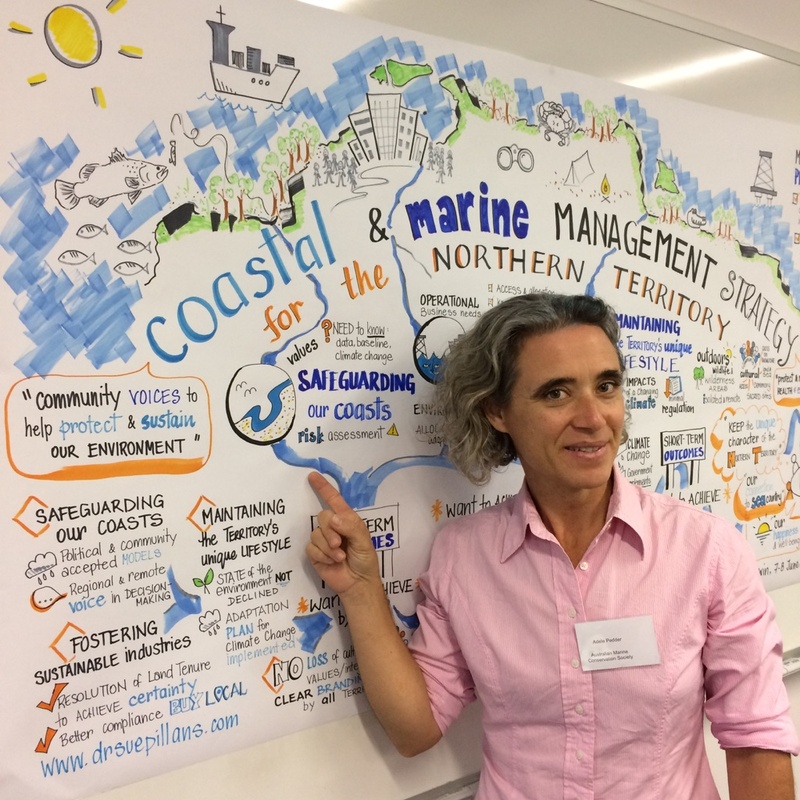 In my role as a Graphic Recorder I have amazing opportunities to draw in great places with interesting people and drawing in the Top End is always a great experience! 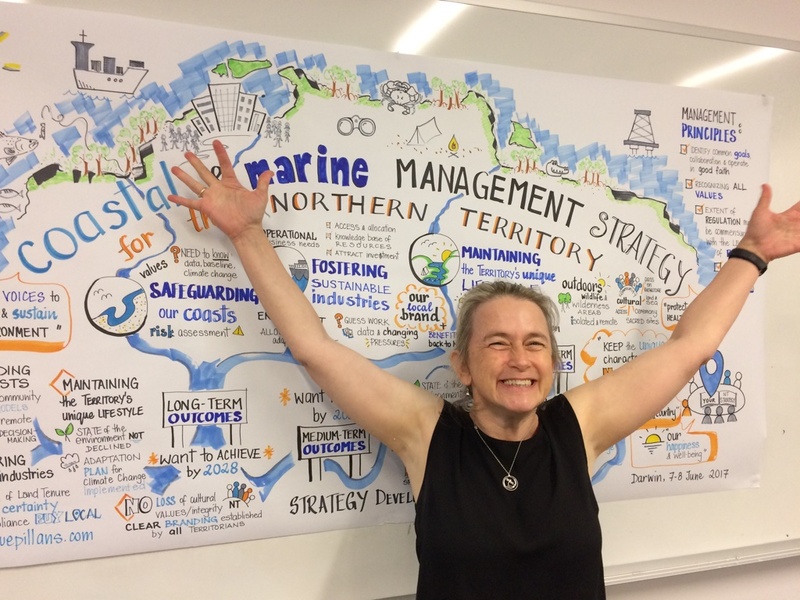 I was part of an experienced team of consultants engaged by the Northern Territory Government to help facilitate (and picture) stakeholder discussions to develop the Territory’s first Coastal and Marine Management Strategy. 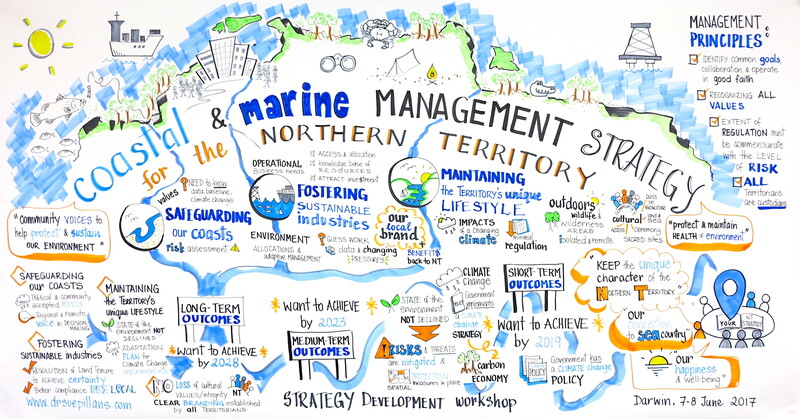 The Strategy will ensure the health and viability of the Top End’s coast and seas, support their use by Territorians for recreational and cultural purposes, manage growing demand for natural resources and foster sustainable industry. 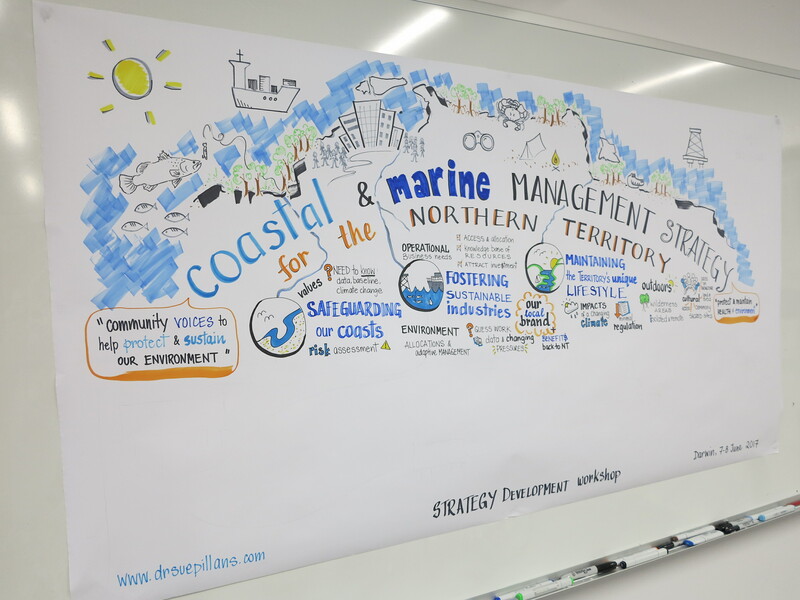 The development of this Strategy is a work-in-progress, as shown by the photos, and it was a great privilege for me to picture these initial and important discussions over the two-day workshop — which showed the positive and collaborative approach to managing the Top Ends Sea Country for all Territorians. 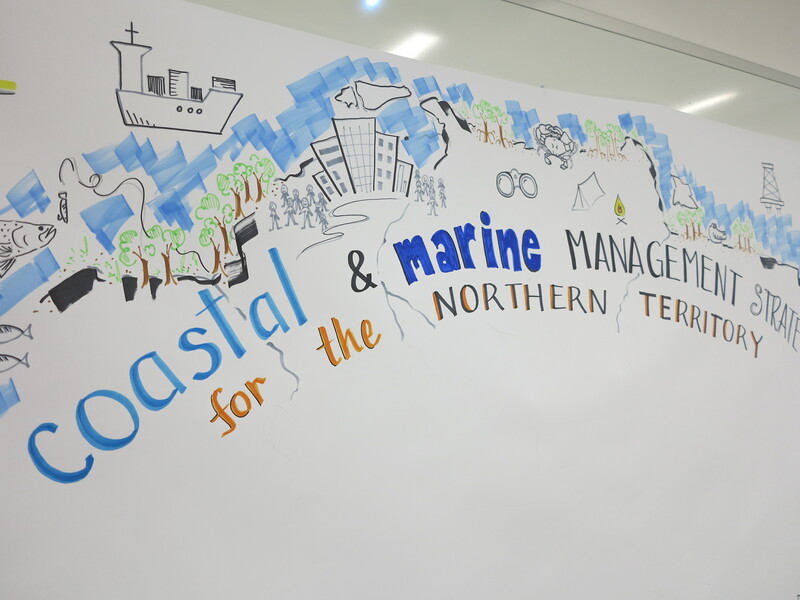 I am always so happy to ‘sea’ how people react to and engage with my visuals, and it was great to receive feedback from the workshop participants that my visual helped them to ‘sea’ the journey they were on in developing this Strategy, TOGETHER. 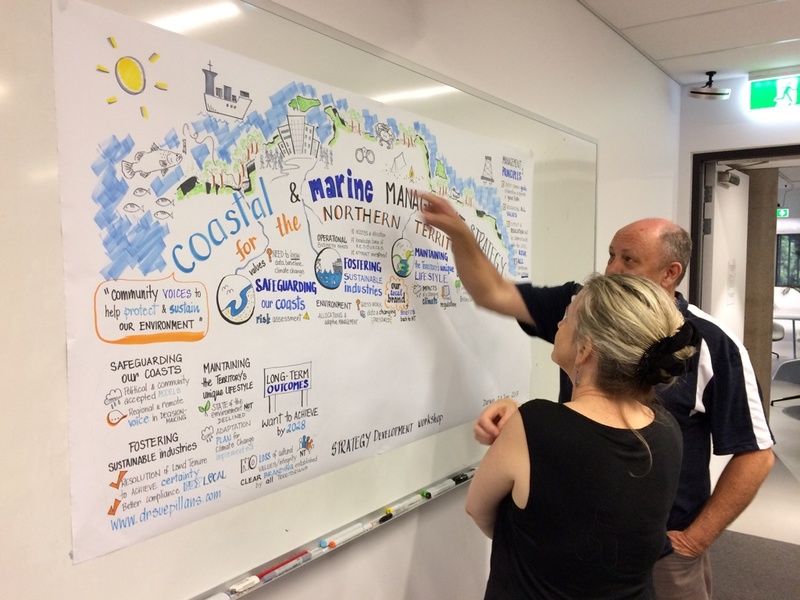 Visual storytelling really is a powerful way of communicating and engaging with groups, stakeholders and clients so you can ALL ‘sea’ the big picture! 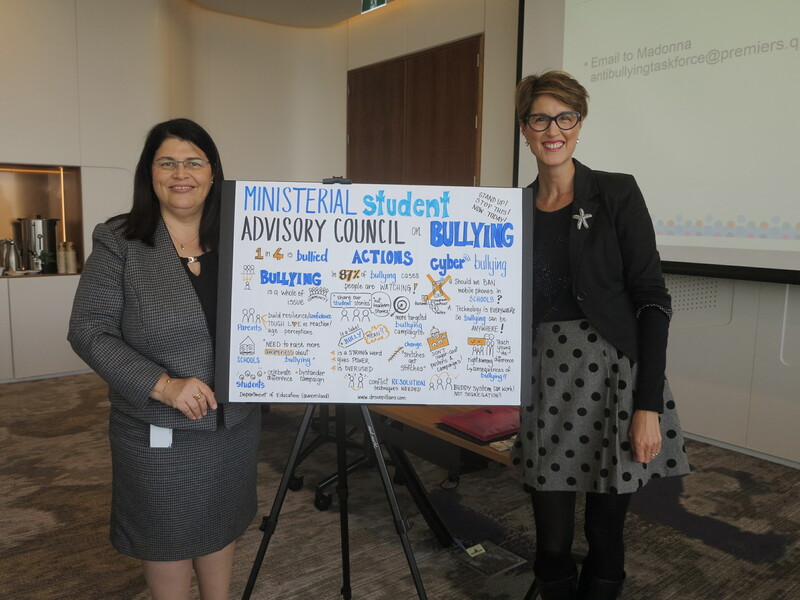 It was a great privilege for me to draw out the important discussions of the very first Ministerial Student Advisory Council (MSAC) on behalf of the Department of Education and the Minister for Education, Grace Grace. 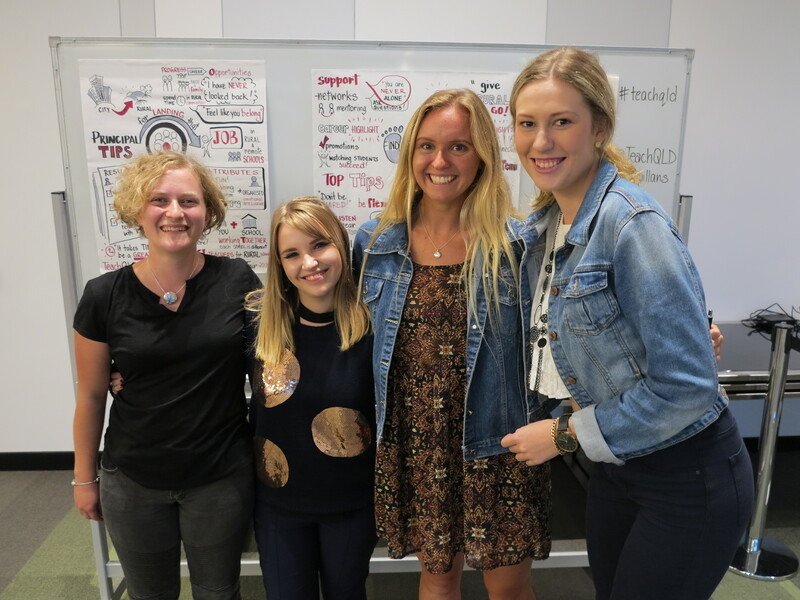 This is the first Advisory Council of its kind in Queensland and the Council is made up of student representatives from schools across Queensland. The first meeting focused on bullying and cyber-bullying and what actions we can take as a community tackle this growing issue. You can see further details of this visual story over at Schools & Universities and view details of the MSAC. Thank you to Minister Grace and the students for the glowing feedback on my visual. 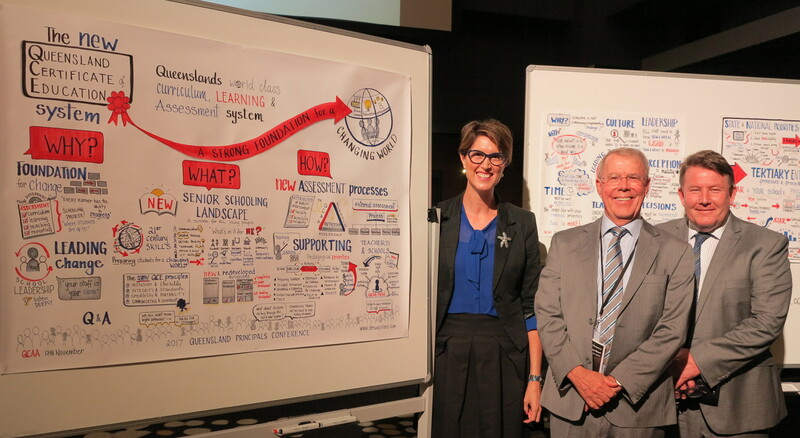 What a great experience it was graphically recording the largest gathering of Queensland School Principals in 40 years as part of the Queensland Curriculum and Assessment Authority’s (QCAA) 2017 Principal’s Conference. 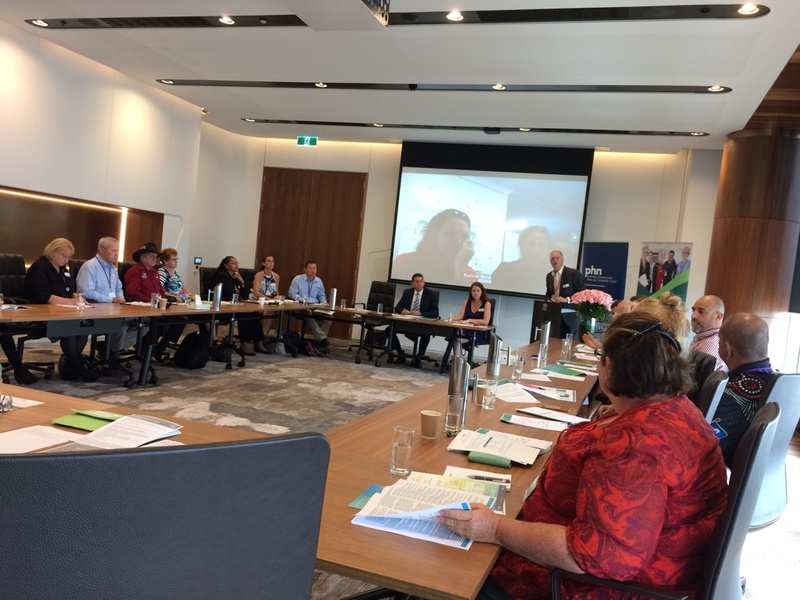 The focus of the Conference was the introduction of the new Queensland Certificate of Education (QCE) system which is the most significant change to senior curriculum and assessment in Queensland since the early 1970s! 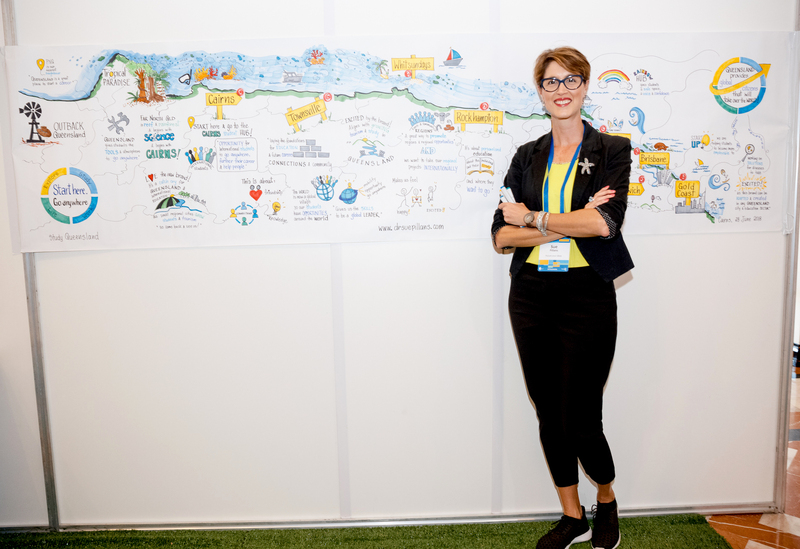 You can see more of the visual stories and time-lapse photography from the Conference: ‘A strong Foundation for a Changing World‘ at Schools & Universities. I have such fond memories of growing up in regional and remote Queensland where going to school meant dirt roads and waiting for emu’s to cross the road! 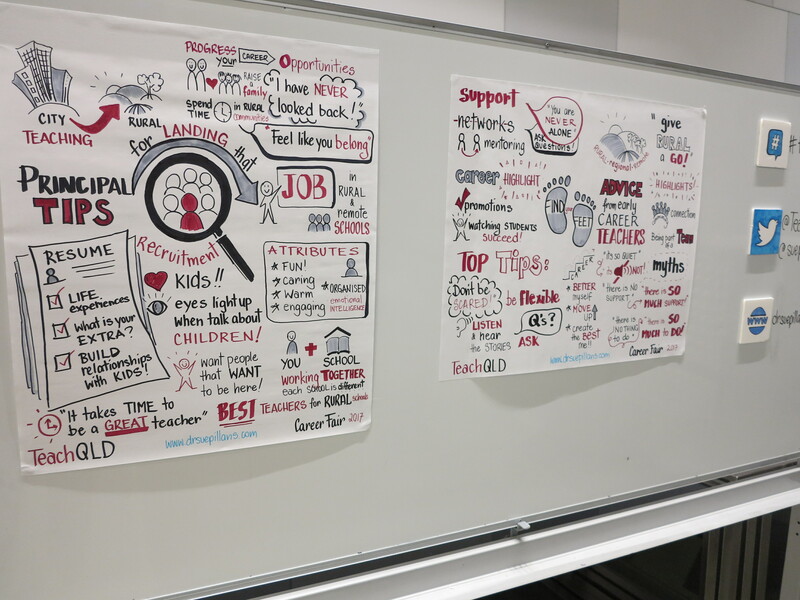 So I was delighted when I was asked to be the graphic recorder for the TeachQLD Teach Rural Career Fair, hosted by the Queensland Department of Education and Training. 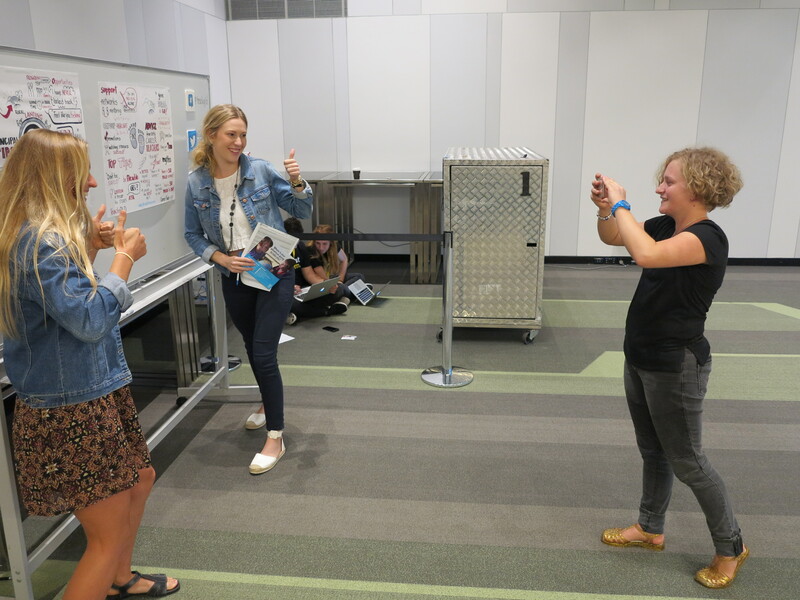 This event was for current and future teachers looking for new adventures and teaching opportunities in regional, rural and remote Queensland. What a great event to promote and highlight the amazing opportunities to teach in our rural, regional and remote communities. 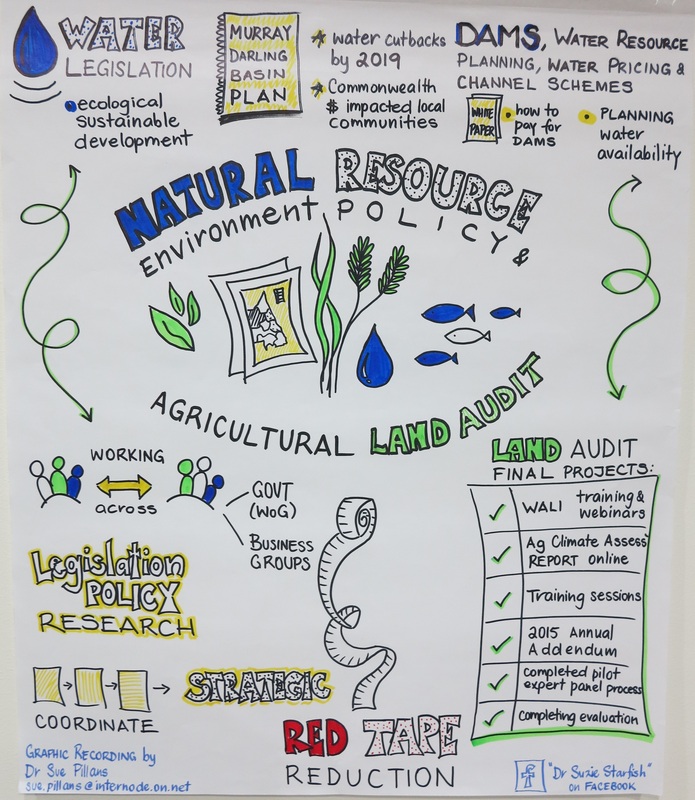 I was super excited that attendees interacted so much with my visuals too and I received so much great feedback on how I captured the Panel’s discussions. The quote of the day for me was, “Give RURAL a GO!”. 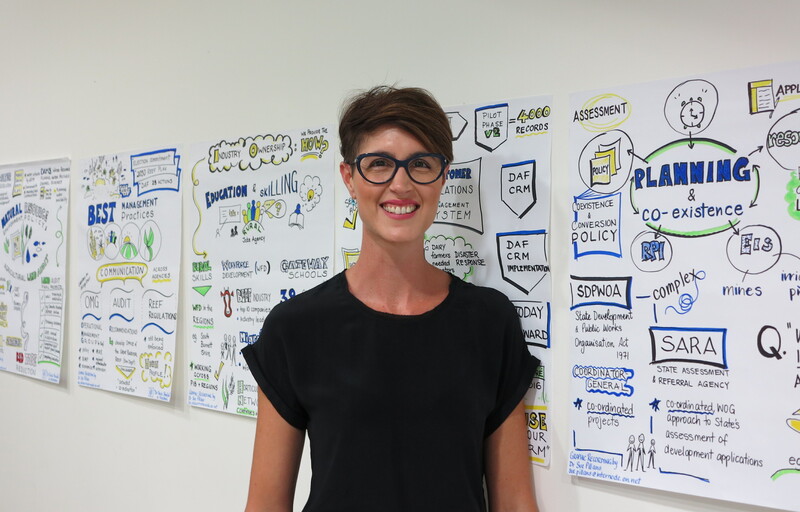 I was the graphic recorder at the Minister for Healths Suicide Prevention Health Taskforce Roundtable held in Brisbane. 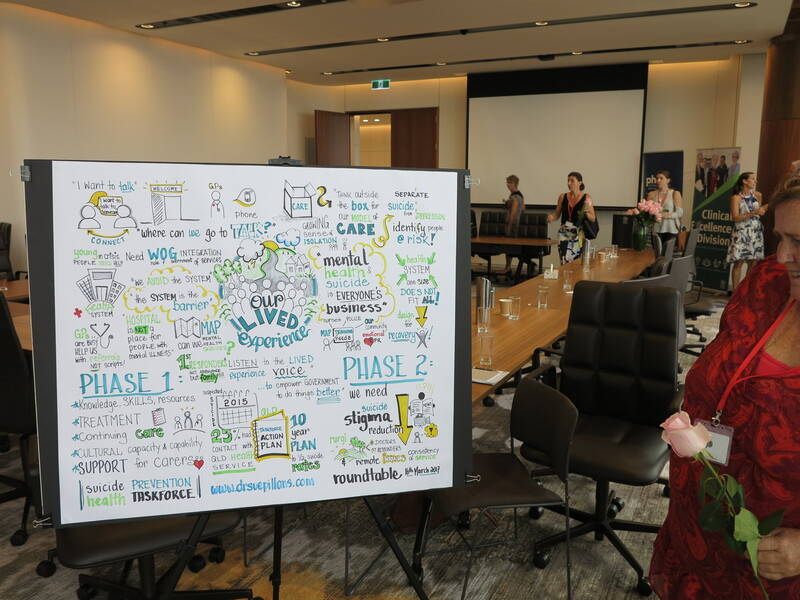 I was there to listen to and visually capture the stories of Lived Experience and the priorities of the Queensland Government, as outlined in their 10 year Action Plan. Visual storytelling for sensitive and personal issues such as suicide can help to put people back in the picture, as everyone has a story. I hope I was able to draw out their stories of courage and strength. A key message from the Roundtable discussions was that “Mental health and suicide is everyone’s business”. To see more of my work putting health issues in the picture please see Community & Health. 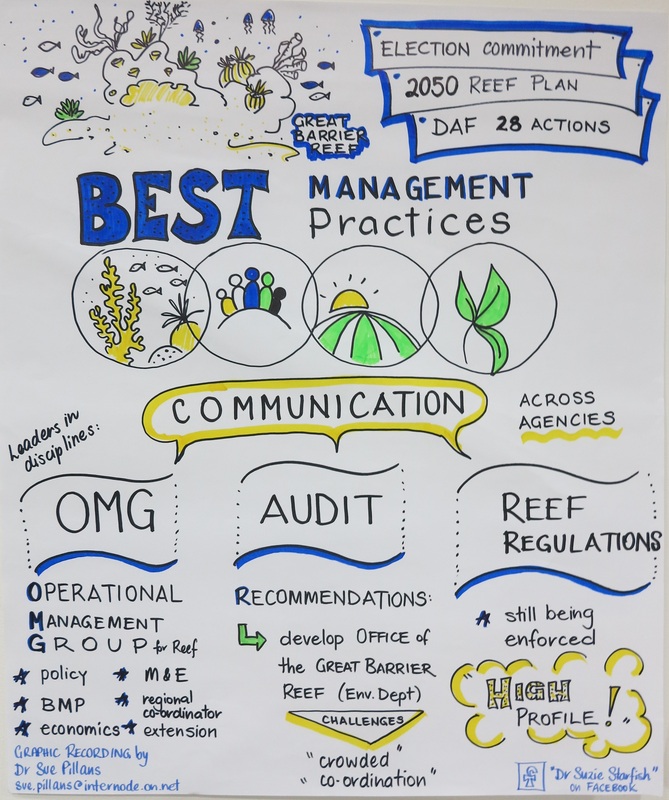 I had a great opportunity to return to my former Queensland Department of Agriculture and Fisheries (DAF) to graphically record the presentations given at a Team Reflections Day. The team day was full of energy which I captured in their visual stories which now hang on the office walls of the Team to serve as a reminder of their work and achievements throughout the year. Visual communication is a powerful tool for team building and a great way to capture and celebrate team achievements! 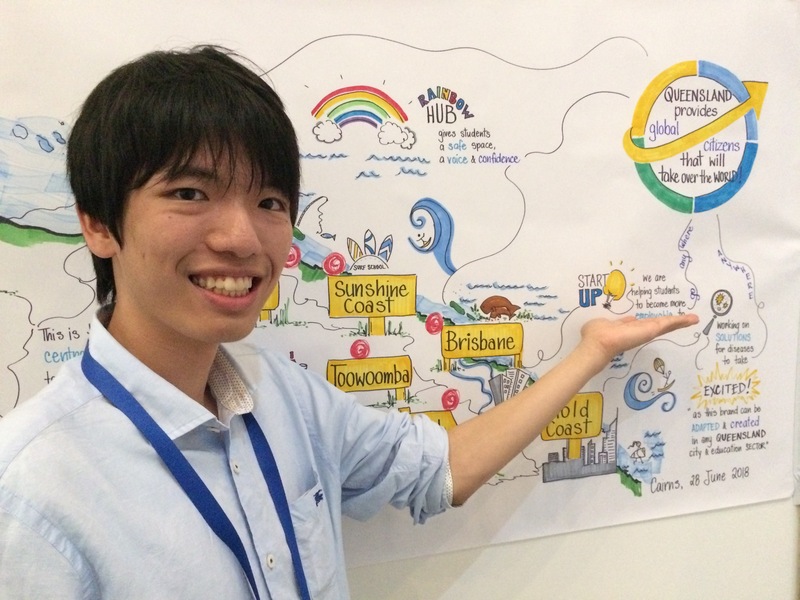 …and what happens to these visual stories, the team proudly displays them!